I don’t sleep in on weekends. My body won’t let me. The one good thing about being awake at the ungodly hour of 6 AM on a Saturday is that I have plenty of time to caffeinate, stretch, get my head together and be one of the first people at the local green market. 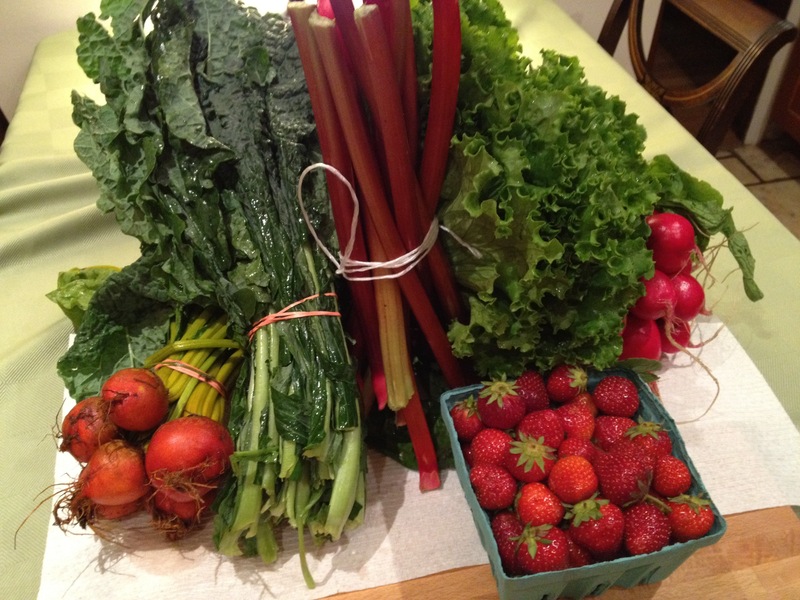 Golden beets, Dinosaur kale, rhubarb, leaf lettuce, radishes, and finally: local strawberries. Now I’m feeling inspired. Stay tuned.